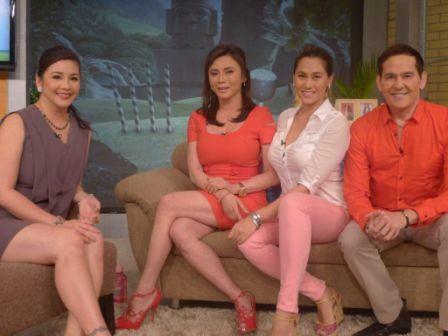 Regine Velasquez Treats a 'One Happy Family' Episode of 'Sarap Diva' with Dra. Vicki Belo, Cristalle and Atom Henares! It's another Saturday morning filled with good food, talk and music in Sarap Diva, 9:45am on GMA.